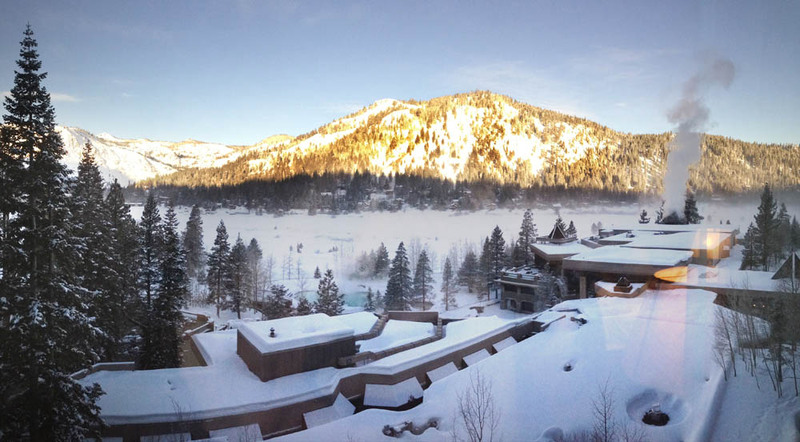 Home » Travel Blog Posts » Skiing at North Lake Tahoe! Skiing at North Lake Tahoe! I’m not a huge skier. In fact, I never understood why so many people wait eagerly for the frigid winter to spend thousands of dollars only to drive 5 hours back and forth every weekend. On top of that, they have to deal with the whole process of skiing or snowboarding (it’s really a lot of work: getting rentals or stuffing the equipment in and out of the car, putting it on (not as easy as you think), walking a ton in uncomfortable ski boots, getting muscle cramps and inevitable minor injuries). I should also say I’m from New England which has some good mountains but nothing like the type of snow and quality trails out west. THEN I was invited by the North Lake Tahoe Tourism Board to spend a weekend exploring the area and skiing at their top resorts. To sum the weekend up I have to say they proved me wrong; Skiing at North Lake Tahoe is awesome and now I totally get why millions of people go through all the effort and money to ski or snowboard as much as possible each winter. The weekend started off typical for Tahoe enthusiasts by leaving early on Friday and driving 5.5 hours in traffic for a drive that should only take 3. But once we arrived we were graciously welcomed at the Ritz-Carleton with food and drinks to go over the adventure. This place is brand new and it does the Ritz brand justice with an awesome restaurant and huge lounge area full of warm fires and comfortable couches and chairs. The view of North Star Resort is pretty stunning too. We had the pleasure of staying at the Resort at Squaw Creek. 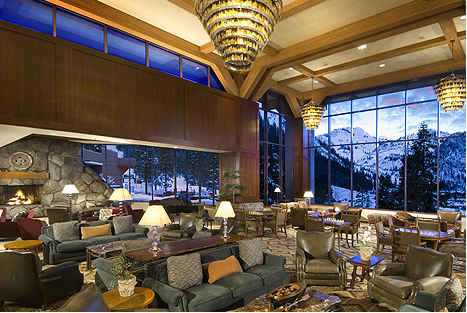 This place was perfect for a ski weekend with an awesome lobby view of Squaw Valley and very comfortable rooms with huge flat screen TVs. The view from our room was absolutely beautiful with a huge mountain and the steaming outdoor swimming pool below it. The fun began on Saturday morning with my first ride to the top of the mountain at Squaw Valley. Staying at the resort is perfect because they have a designated chair lift right in front of the hotel. No need to lug everything to the crowded ski entrance 2 miles away. From the first run down to the bottom I realized what I’d been missing the past 2 years since I had last skied. These mountains and the quality of snow and skiing are awesome. We skied two full days and were pretty sore but it was so fun I didn’t care. Squaw has some excellent trails for average and expert skiers with some of the most vertical runs in all of North Lake Tahoe. On Saturday night we ate at Rocker Bar and Restaurant which had some amazing mac n cheese & beef brisket skillets. Excellent comfort food that really hit the spot after a good workout skiing all day. Overall, we can’t thank Lake Tahoe North enough for having our travel club up for the weekend. They have rejuvenated our love and interest in skiing and we’ll be looking at planning a group trip to Lake Tahoe for next year! Totally understand but yeah give it another try! If you don’t commit to at least a whole season of lessons however you likely won’t be good enough to enjoy it…. The Ritz looks like my kind of hotel! 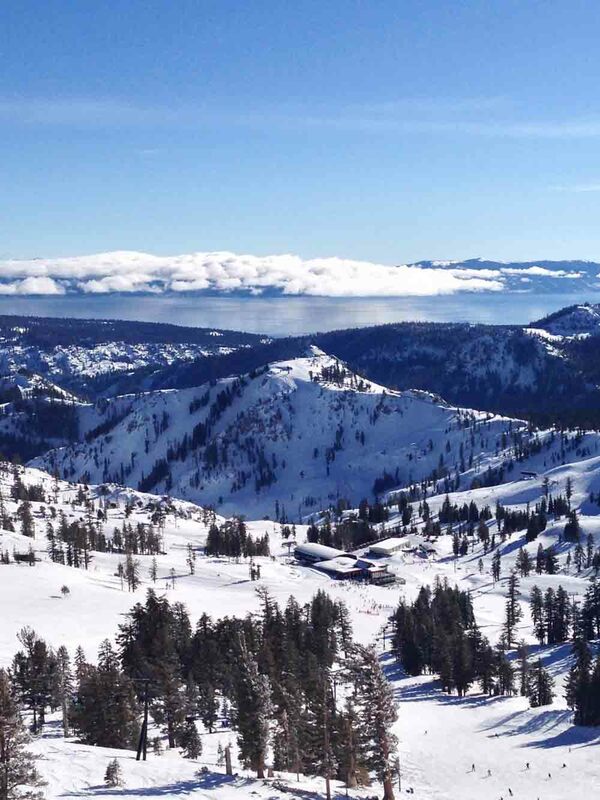 Just skied a few days at North Lake Tahoe last week & published a short piece on it. ( I swear I didn’t steal your title — total coincidence!) Beautiful area — we’ve been skiing there for many years. I’ve been there before and the snow was great and the views were incredible. I’d love to ski in the States sometime. That snow and blue skies gets me everytime!